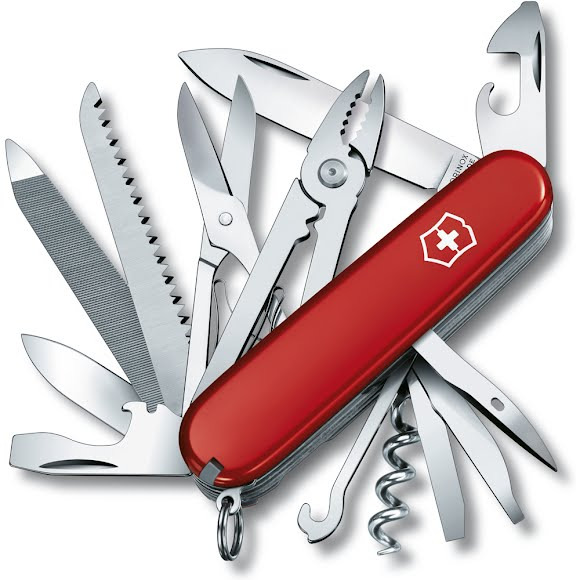 When you hear the words Swiss Army Knife, chances are you think of the legendary Officer&apos;s knife. And that legend continues with the Handyman pocket knife. If you&apos;re handy, then you know that the call to come fix something can come at any time. So whether you&apos;re hard at work or hard at play, always keep the Handyman with you. Its 24 functions are always ready, so you will be too.